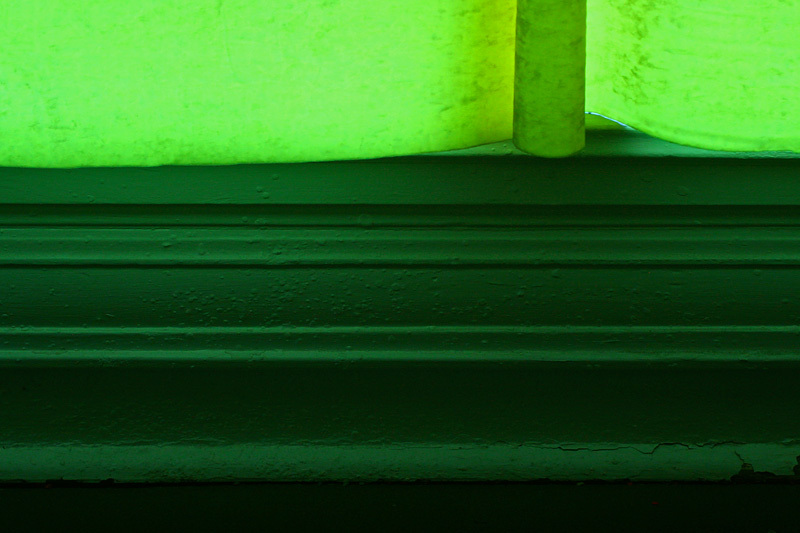 Curtain to reproduce a quality of interior light characteristic of central Florida at sunset after a thunderstorm in summer Fluorescent yellow stretch velvet, curtain rod. 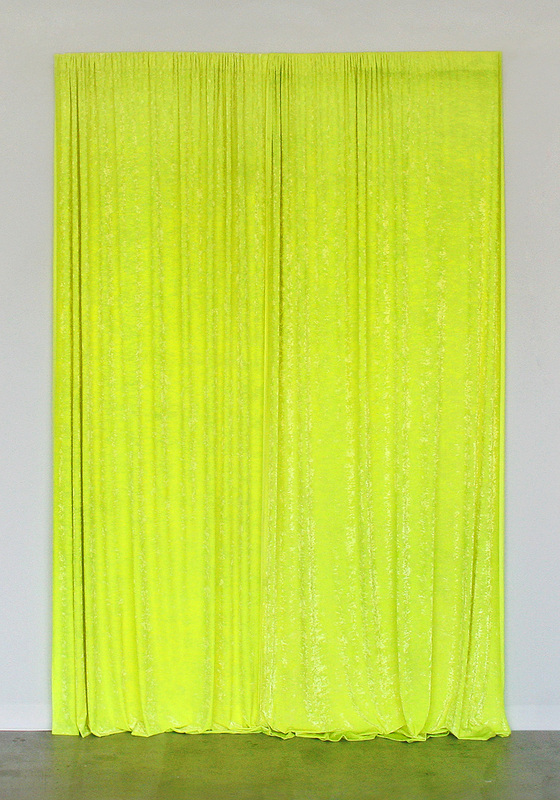 Dimensions variable (site-adjusted), 8' × 10' maximum. 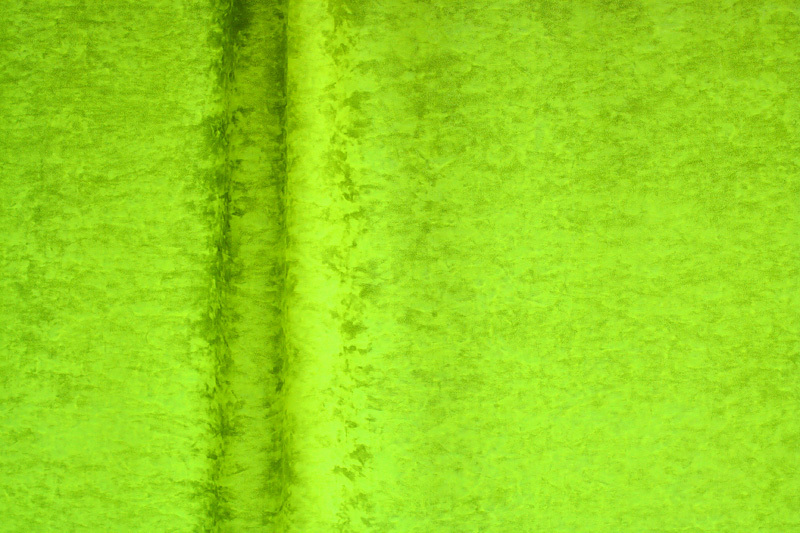 Last photo shows curtain in natural light without flash. Can be installed in a window or on the wall.